Children in folk costumes with bagpipe are meeting the tourists with crane's bill. The group is dressed with authentic costumes - the most beautiful costumes in our region are preserved during the ages. It is consisted of several generations, the most attractive participant is only 2 years old! 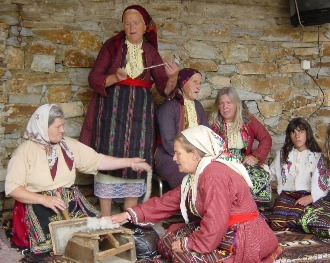 The old women of Delchevo are making tasteful banitza pastry - salty or sweet on the balcony of the old houses, while they are singing. There could be visited the church, an open bread bakery and the village brandy distiller. Welcoming from the women of Dolen near the fire-place or under the deep shadow of the trellis vine. 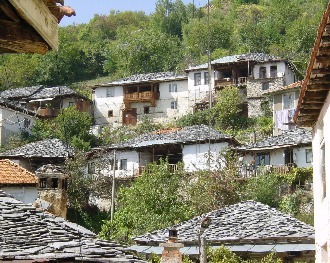 The characteristic high singing in Dolen and the magic words of the songs about the people from the village - their love, good and bad, makes the time goes quicker and quicker. Demonstration of old pottery craft. Everyone could try on his own to make a piece of ceramics. 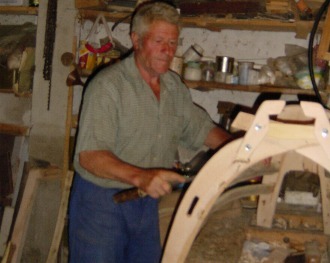 Permanent exhibition of crafts and textile in the Municipal museum of Gotse Delchev. 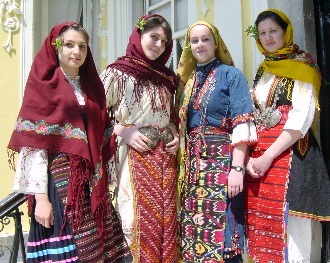 The museum has one of the richest ethnographic collections in Bulgaria - almost in each village in the region there are local costumes - different then the rest, local fabrics and colors. 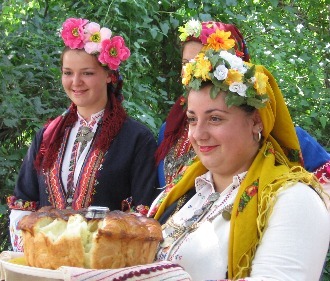 A working - bee of Bulgarian - Muslim women. 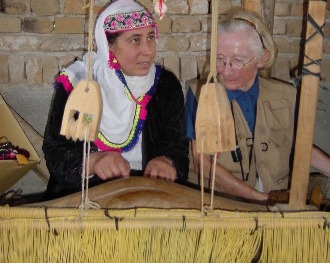 Weaving on a vertical home loom, work with a spinning - wheel (for winding the yarns, which will be used for the weaving), knitting socks and slippers. Presenting songs and people, and the customs of the village. The women are organizing also an exhibition - bazaar of craft goods, produced by them. In the village it is still prepared a wedding dowry for the girls. At the past there were 500 home weaving looms in the village. The women are preparing a home lunch with almost all products - own production. A specialty - bean in a pot with jerked meat on open oven and special sweet khalva. 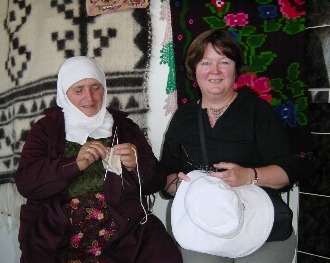 Demonstration of crafts: - Socks knitting - short lessons and tries - Making tobacco baskets. Very interesting is the church St. Dimitar with the clock tower and outside icon-paintings. There is a historical wall-paining - The blinding of Vladimir Rassate.